Dead gopher (shoot or trap one; can hurt your dog. If gophers trying to take over your property with squatter's rights, evict them with the help of a high-prey-drive hunting dog and some pointed training. Many gopher solutions are dangerous (poison bait), illegal (firearms in urban/suburban areas) or expensive (exterminator). A good hunting dog can be less expensively than an exterminator and give you more a decade in gopher-killing services to boot. With the choice of the right breed or mix, you can have your very own gopher exterminator whose only charge is a bowl of kibble every night. Choose the right type of dog for gopher hunting. To keep gophers out of your yard with a dog, the dog needs to have high prey drive and high prey aggression. Many members of the American Kennel Club (AKC) Terrier group have this kind of drive, but there are also working terriers that are not a part of the AKC. The most reliable way of obtaining this type of dog is to go to a breeder who breeds working terriers specifically for hunting vermin or participating in earthdog trials. Research where to buy a dog. Good gopher hunting terriers can sometimes be found in rescues, shelters and SPCAs because the average pet owner can't handle their extreme drive. Inquire carefully as to the temperament of the dog and what caused it to be given up. "Needs more exercise", "won't stop chasing animals", "killed my last nine hamsters" are all good signs of the kind of dog you need. If you decide to buy from a breeder, research good dog breeding practices and ensure that the breeder you buy from is following them. Once you have narrowed down the field of what kind of dog you want, research what breeders are out there and what they have to offer. Signs of a good breeder are health testing, membership to a breed or hunting dog club, screening potential buyers and working their dogs in ground trials. Breeders who use their dogs to keep down the local gopher population are to be preferred, but you can't have everything. Pick the right dog. You want the dog who is obsessed with moving things, capturing them and "killing" them. Choose a dog or puppy who shows tenacity in chasing balls, rags dragged across the floor. One that goes absolutely crazy at the sight of a prey animal is also to be preferred. Skin the dead gopher and punch a hole in the middle of the hide. Tie a very sturdy cord to the hide. This is your lure. 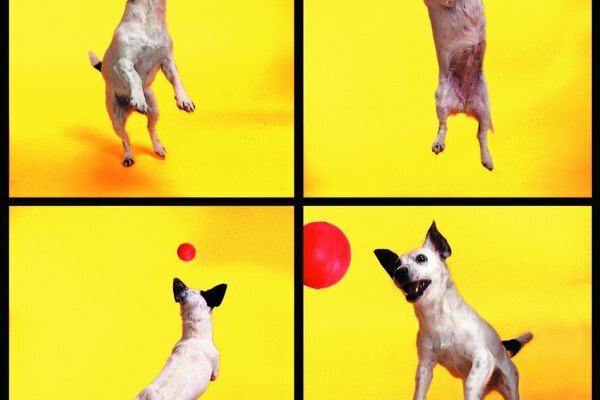 Encourage the dog to chase and bite the lure during training sessions. You can encourage increased prey aggression by securing the dog with the leash and teasing it with the lure, but ensure that your dog never gets frustrated and always "catches" its prey. Introduce your dog to the tunnel by using treats and the lure to encourage it to explore and later go through the tunnel. Eventually, your goal is to have the dog go through the tunnel to catch the lure at the end. This associates the tunnel with catching prey. 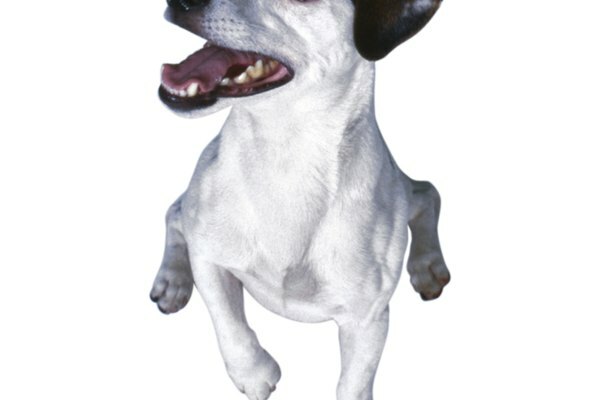 Release the dog on gophers when it has attained the training and growth to enable it to carry out a hunt successfully. Reward predatory behavior with treats and praise. Allow the dog to regularly and frequently hunt your property. Enough hunting and killing by the dog will both thin down the gopher population in and around your yard and encourage the gophers to move their efforts to another location. Keep the lure locked away until training sessions so that the dog does not get bored with it. Buy toys that resemble small, furry animals. Encourage the dog to chase and bite these. Train and socialize your dog to be a pet when not actively hunting your yard. Dogs function best when in a pack situation. Hunting dogs can be wonderful household pets with proper socializing, training and management. 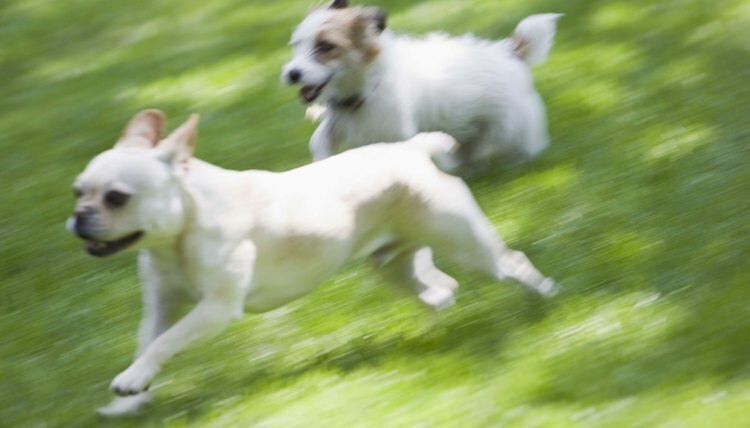 If the gopher population in your yard diminishes to the point where your dog isn't chasing them every day, ensure that your dog gets extra exercise in the form of walks, runs or hunting outside your property. Never punish a dog for not showing sufficient predatory behavior. This will associate hunting with negative reinforcement and hinder the dog's desire to chase and kill. Once a dog is trained to kill gophers, be very wary of it around other domestic pets. Many gopher hunting dogs get along well with other dogs and cats they have been raised with, but the prey drive instinct is strong enough that they should not be allowed near pet rodents or other small companion animals. Living in Nanaimo, British Columbia, Julie Script is a writer specializing in canine topics. She has also worked in the real-estate industry since 2008. Script holds a bachelor's degree in English and creative writing from Vancouver Island University. How Long Does It Take a Pacific Gopher Snake to Grow? What Is the Canine Good Citizen Test?